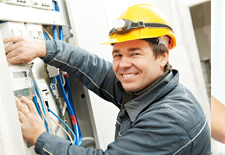 Philadelphia Maintenance Services, Philadelphia Maintenance Managers, Philadelphia, PA Maintenance Management Companies. Del Val can schedule maintenance and repairs on your property to be certain your investment holds its maximum value. We have a pool of experienced, qualified and reasonably priced contractors from every trade. Because of our volume, we can negotiate the best prices for you with carefully chosen contractors. Our contractors are licensed, bonded, fully insured and have met the EPA requirements for HVAC and refrigeration repairs/recovery. Our expertise in construction management takes a large rehab or renovation project through all phases of renovation. Meet with the owner to establish the scope of the rehab or renovation. Establish and coordinate all interior upgrades including appliance, fixture, cabinet, and flooring selections.